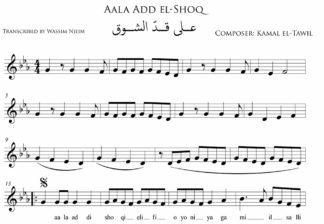 Sheet music of Aala Add-el-Shoq of Abdel Halim Hafez. 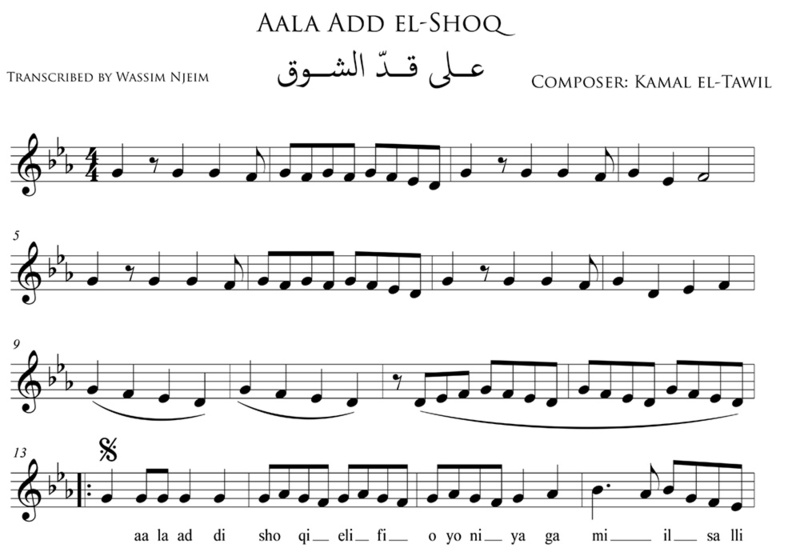 Composed by Kamal el Tawil. 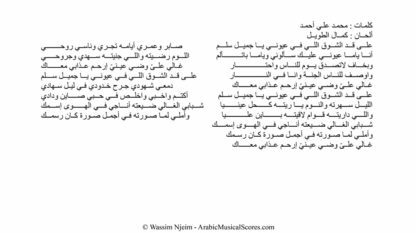 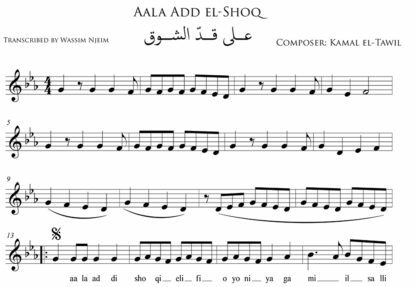 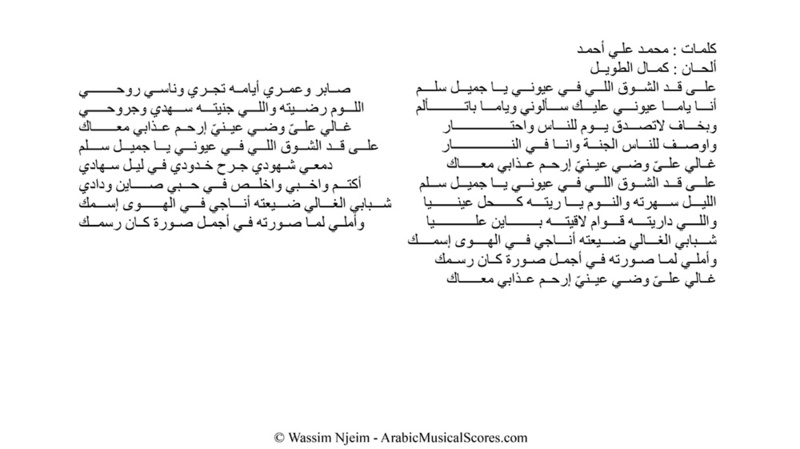 The file also includes the lyrics in Arabic.